The DrSails catalogue for the 2017 presents juicy innovations, both in its range of Adhesives and Repair Packs, where innovation and revolutionary solutions follow the pathway started by our two-component technology, flexible, highly structural with a fast curing time and applicable even underwater. Our adhesives have two new references. 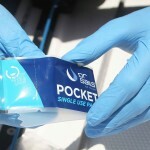 The MINIPOCKET is registered in the “One Use Only” range accompanying the POCKET, which shares presentation but with less amount of adhesive. The “Multipurpose” range of adhesives adds the DrSails 400 side-by-side cartridge, specially designed for industrial use. 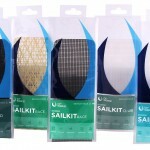 The SAILKIT for sail repair, developed in collaboration with Dimension-Polyant, offers four references with different types of sailcloth: SPI (white nylon), CLUB (woven Polyester), RACE (Technora reinforced laminate) and PRO (carbon filaments monofilm). 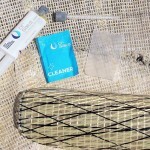 All SAILKITs include a POCKET adhesive, which after mixing is squeezed into the peelable bag, where the sailcloth is impregnated before opening and applying the patch to the sail. 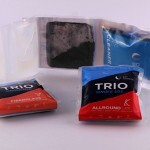 TRIO, the adhesive putty, has three references according to the reinforcing additive: our multipurpose TRIO ALLROUND with microspheres, TRIO FIBERGLASS with micro-milled fiberglass and TRIO CARBON FIBER with micro carbon fiber. The pack contains four compartments. Two with both components of the adhesive that are mixed in the first step, another with the additive powder which the mixed adhesive is transferred and the putty is formed, and afterwards is applied by opening the pack through its easy opening. The fourth compartment contains the accessories needed for a clean and easy application. In addition, the presentation of all products has been renewed. Now they are more visually attractive, with colour keys that differentiate the different ranges and a clearer graphic indicating the product they contain. 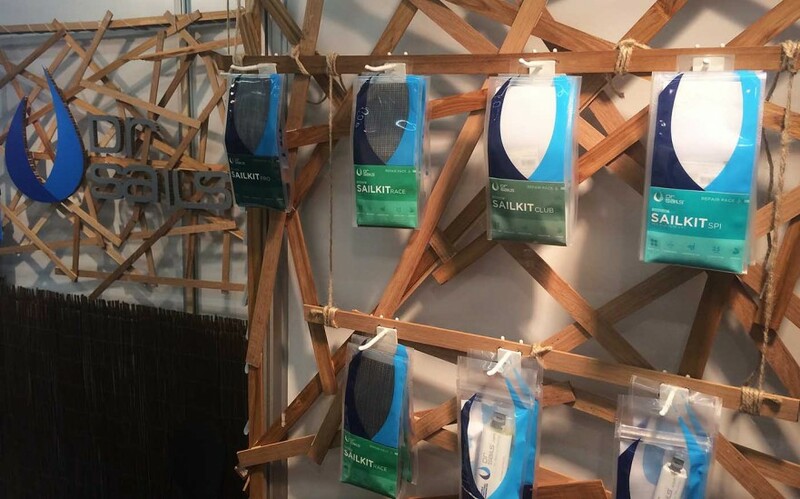 The new presentation of all our products allows you to hang them in display panels and stored properly wherever.